Happy September! DMF Youth starts our fall programming this week! We are thrilled to begin our 4th season of afterschool programming and serve nearly 100 kids at four sites across East Harlem, the Bronx, and the Lower East Side! 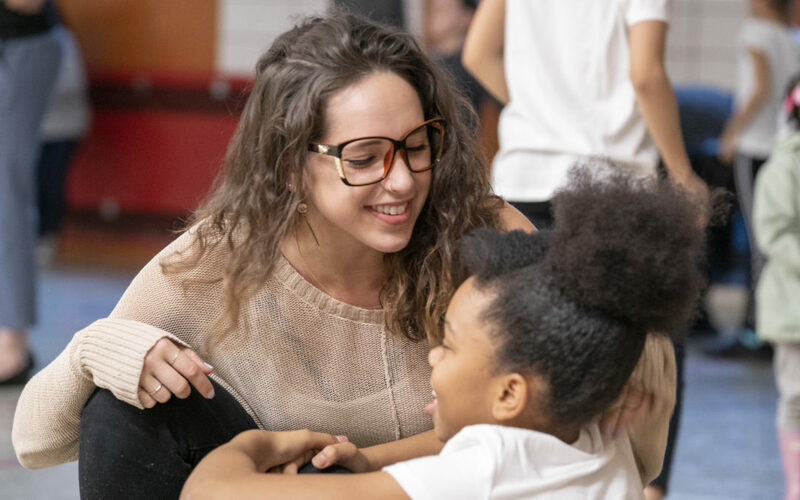 We can’t wait to dance, laugh, and create with these at-risk youth and teach them the valuable life skills they need to succeed in and out of the classroom. As a small non-profit, we heavily rely on DMF Youth sponsors to help financial support our students through the program. This is a fantastic way to personally connect with a deserving student. You will receive updates, photos and thank you notes from your sponsored child or children, and we can’t express how grateful they are for your support! We have different levels of sponsorship to fit all financial budgets and every penny counts. Please consider helping an undeserved child attend our program and equip them with the tools they need to thrive! Our FREE afterschool programs blend motivational dance education with a life skill development curriculum, helping at-risk youth build self-esteem, confidence, and grit. The students who have participated in our programs have grown tremendously, showing reduced negative behavior and increased self-esteem. Truancy rates among DMF students are far lower than school wide averages. The traditional school day rarely address the social and emotional issues that plague at-risk youth and make it difficult to for them to succeed. DMF Youth’s unique and highly impactful approach addresses these issues head on and teaches youth the value of perseverance, creativity, conflict resolution and empathy. Our students learn how embrace and cultivate their strengths and accept the differences in those around them. Please consider supporting our efforts! $400-Supports one child for our entire 14 week fall program. This includes once or twice a week, 2-3 hour classes, all snacks, arts and craft materials, and costume for final performance. $200-Supports one child for half of the program. $100-Provides one child all weekly snacks, arts and craft supplies, and costume for final performance. $50-Provides one child one month of afterschool classes. $25-Provides one child one month of snacks. Click the donate button to sponsor a child and enter your desired sponsorship level!